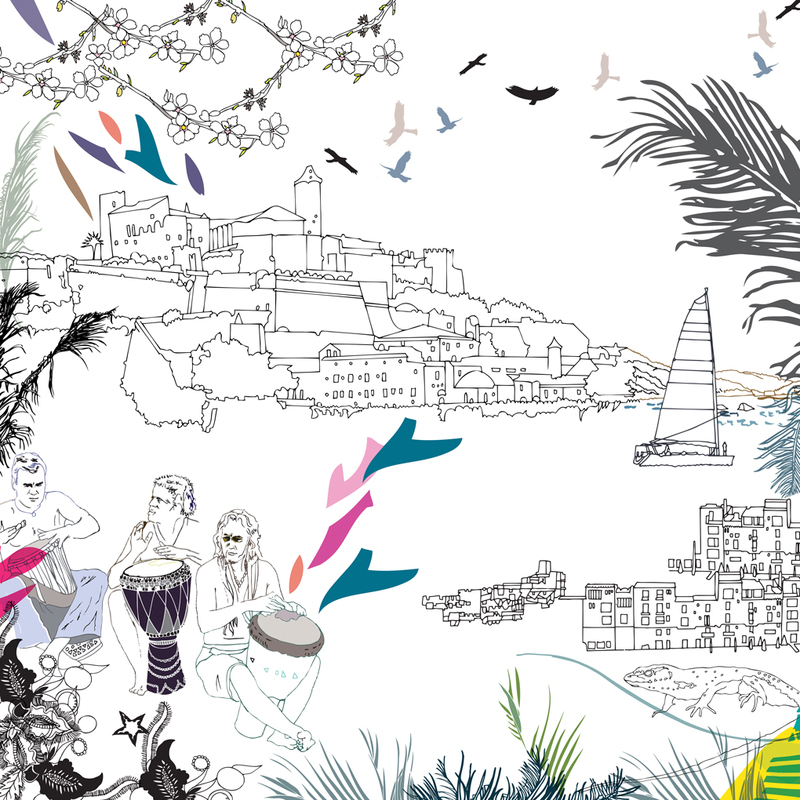 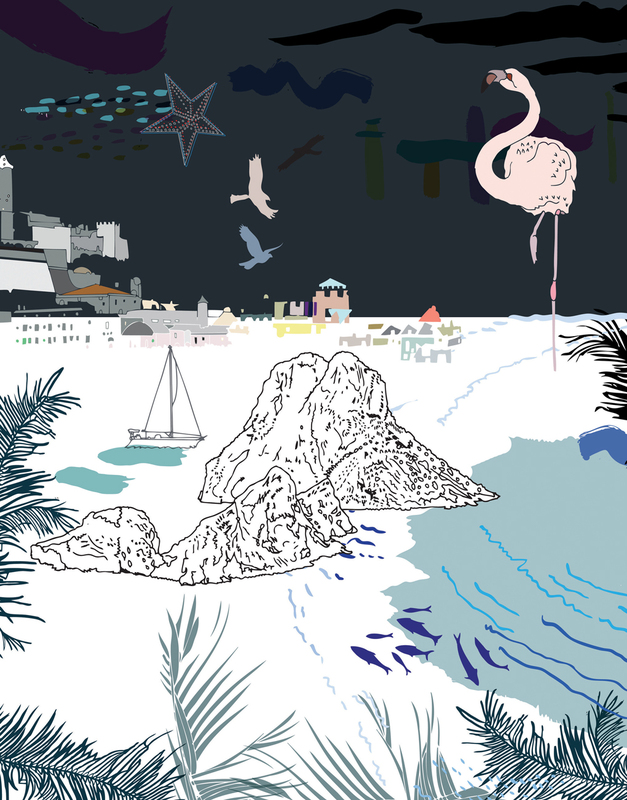 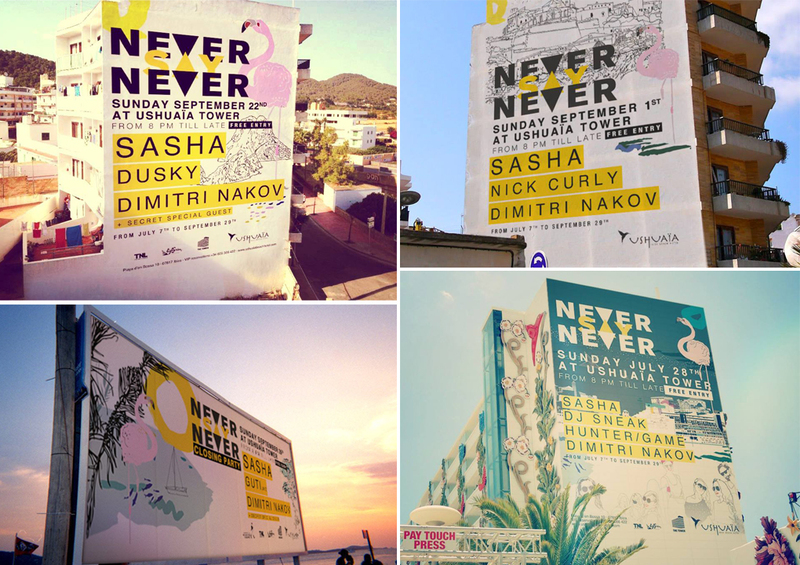 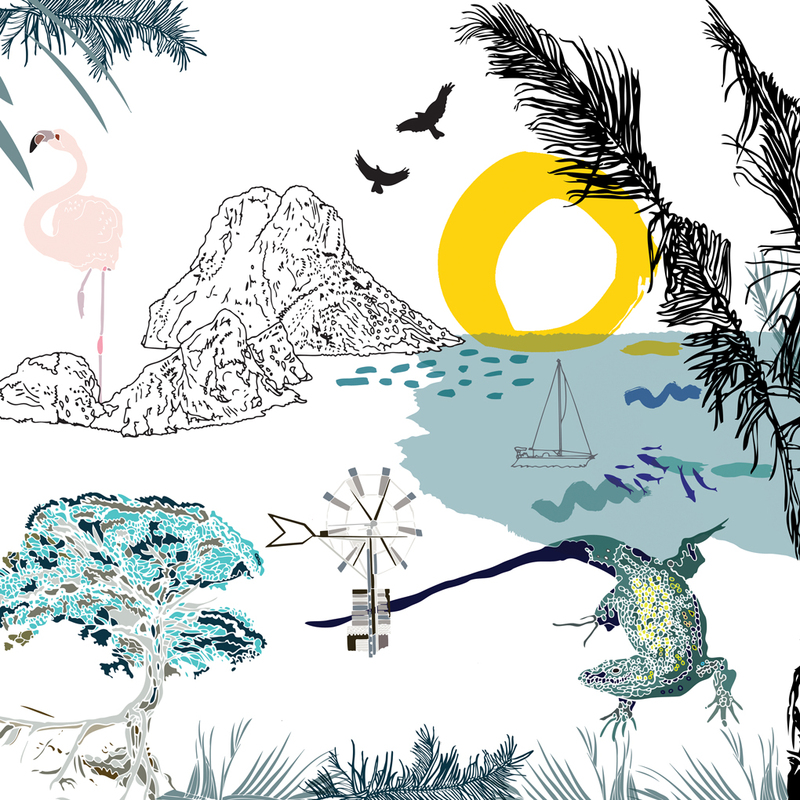 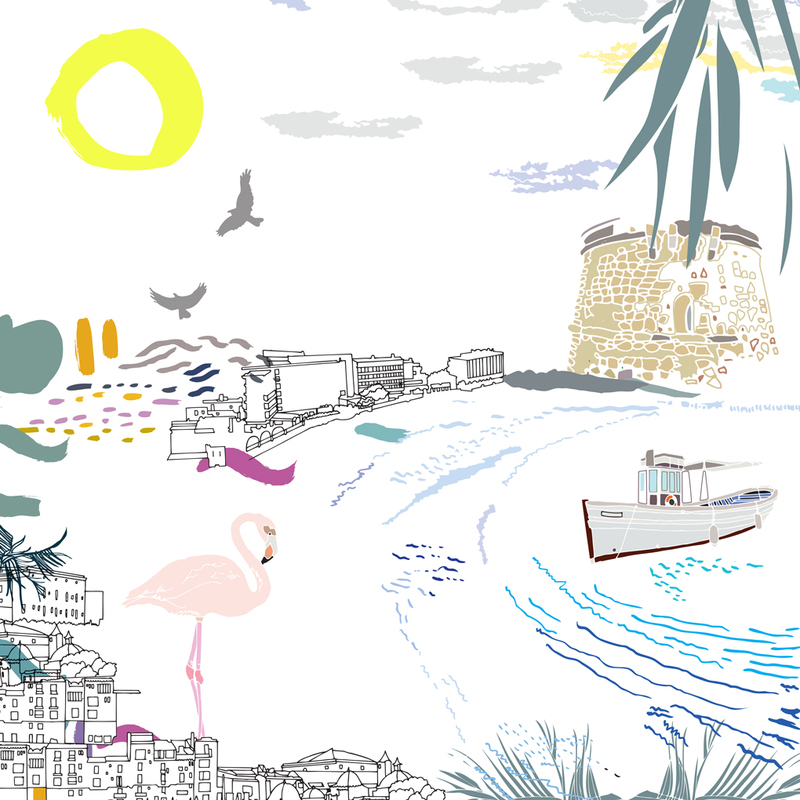 Artwork created specially for Sasha's 2013 Ibiza residency. 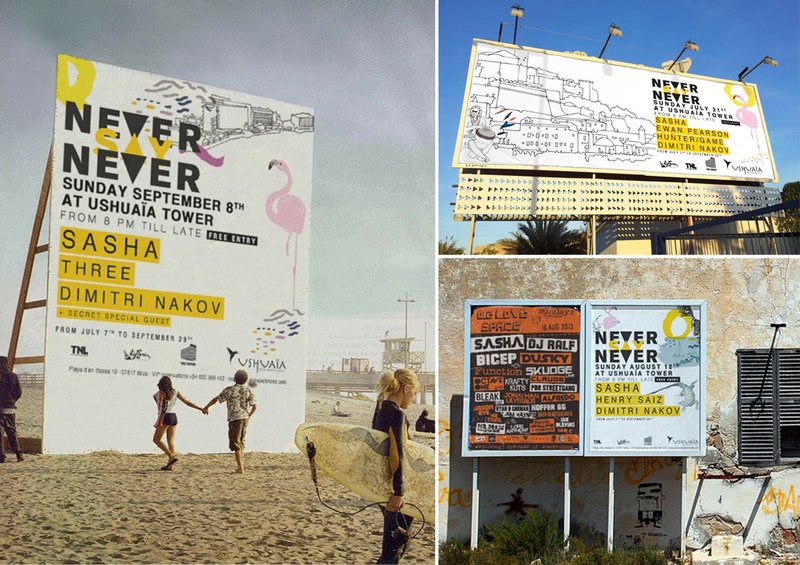 The images had to be adaptable, working separately as well as making up a panoramic day to night scene and so they could be applied to different contexts including records, billboards and merchandise. 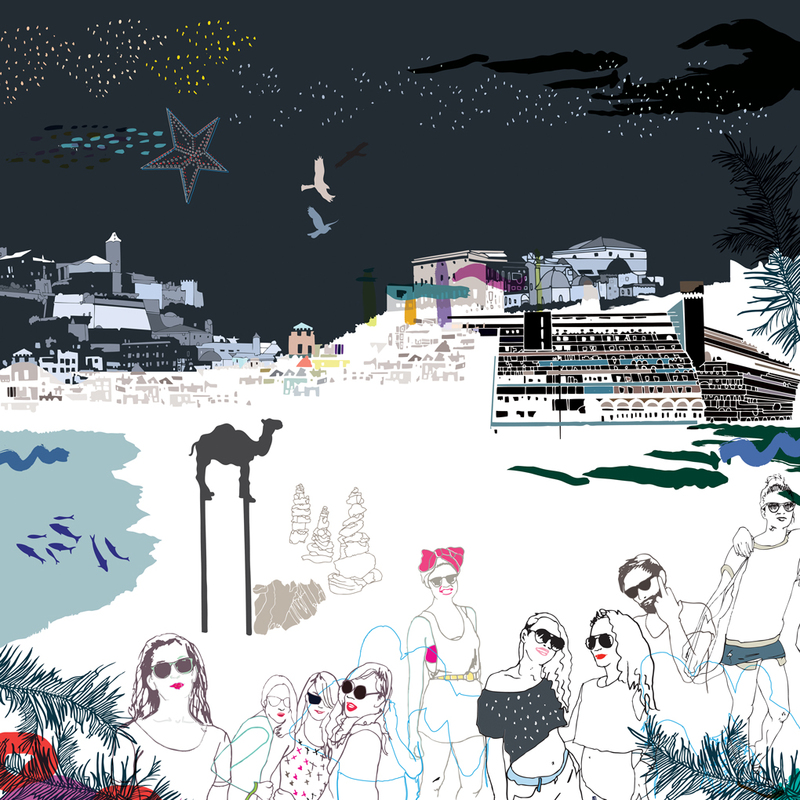 Mix Mag published an interview with Sasha featuring special artwork adapted from the Ibiza series.